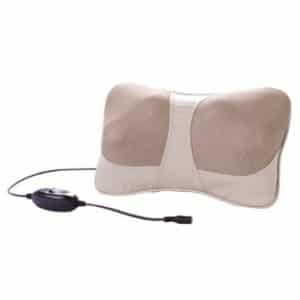 Click here to visit the Amazon site and you’ll be able to score a Prospera Kneading Massage Cushion for $27.99 (regularly $54.99). They’re also offering free shipping for everyone since you’re spending above $25. This product has 4.5 out of 5 stars and as a price comparison, the same one is $49.97 @ Walmart and $49.99 @ Target. *Keep in mind Amazon prices can change, especially on hot deals, so double check that its still $27.99 before you add it to your cart.